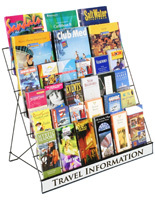 These four level literature racks may be used on both the floor or the countertop to advertise interesting information. 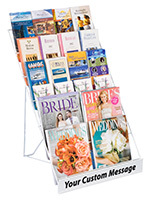 The magazine holders accommodate stacks of content on the 1.5"d tiers. 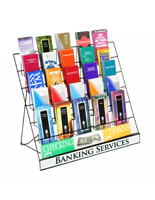 Four level literature racks for 4"w and 8.5"w materials, also called brochure stands, have a sleek black finish add some aesthetic appeal to the surroundings. 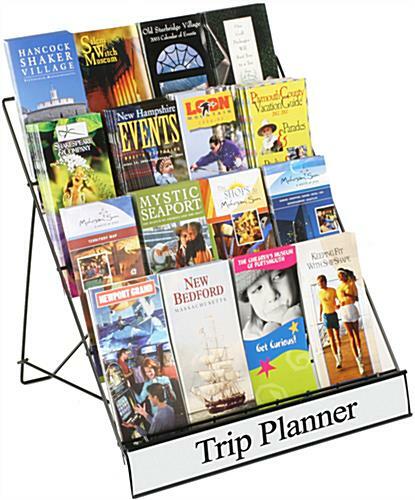 The black coloring of the magazine holders will not overpower the bright graphics on the pamphlets and catalogs. 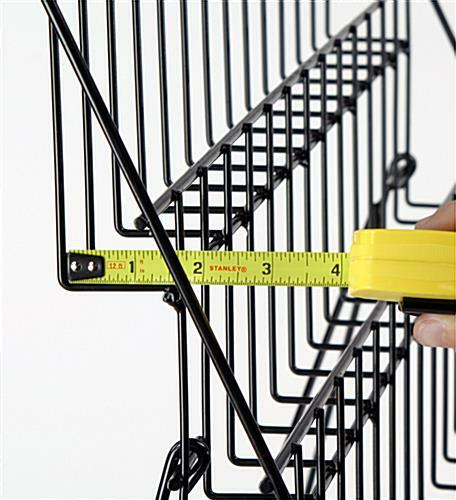 Racks fold down quickly for easy transporting and setup. 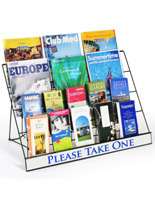 A signage channel is included with the brochure stands for inserting custom messages and logos. 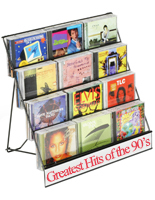 18.0" x 17.3" x 11.3"
18.0" x 19.0" x 2.8"
18.0" x 5.0" x 1.5"
Well made and easy fold for shipping! 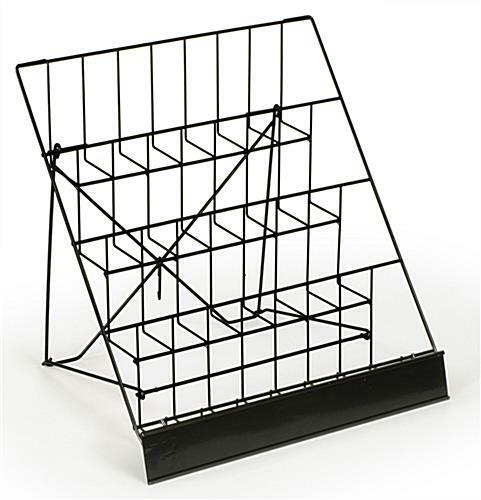 This wire rack seems to be well made, sturdy, yet back support is easy to fold for shipping. 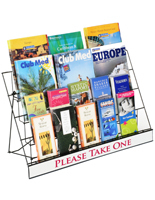 Can hold two magazines across or multiple bi-fold or tri-fold brochures. 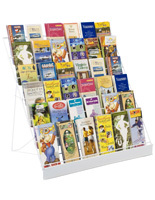 I researched many wire racks for table-top display and this one seems to be the best one I found for our purposes of literature display for an exhibit table.